Let your own sun shine. 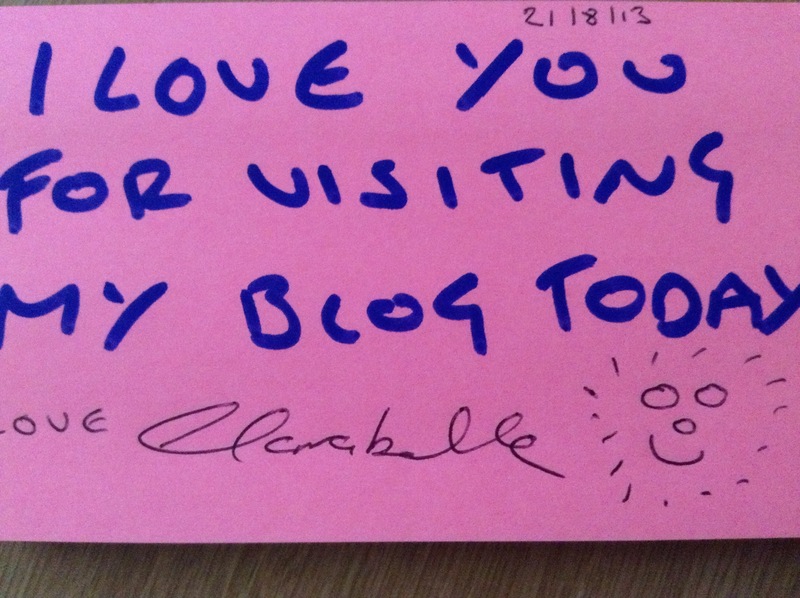 It’s been a little bit quiet from me on this Clarabelle Blog, I do apologise, there’s lots happening behind the scenes but I must remember to never forget you, my lovely blog visitors. 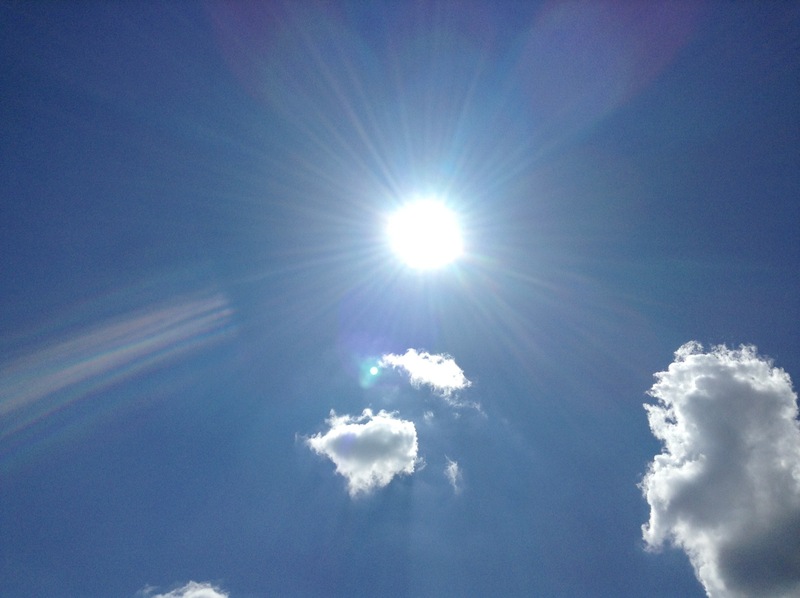 So the sun has been shining today in Bonny Scotland but you know regardless of the weather always make sure the sun shines from within your heart. So that’s today’s motto for you. Let your own sun shine wherever you go. Embrace the warmth of your inner sunshine today. Let your happy spirit thrive, have strength and be strong. A very warm and lovely welcome to this month’s question. I hope you will get the chance to reflect and answer this question for yourself – my answer is also below. I hope you’re having a fabulous start to February. Lots of love Clarabelle. What do you love doing, you know that one thing that really makes you smile, that really makes you happy…..who or what is it, I would love to know what lights you up inside? Even this very question is making me smile inside because it is taking me to happy times. I am sure this will come as no surprise to you, but I really do love writing poetry from the heart and also writing songs. What makes me even happier is knowing that these poems and songs are bringing joy to other people, that truly is the icing on the cake for me. I have a vision that one day I will be standing on stage in front of a huge audience and they are singing along to my own songs. I also have a beautiful vision of driving my car and one of my original songs are playing on the radio. This my friends, I truly believe will happen…..I just believe that in my heart of hearts. So I hope you really think about this question today and if you’re not doing what you love, make sure you give it your priority this month, because you truly deserve to be happy doing what you LOVE doing. I wanted to share with you 3 factors that I find are very important when leading/ working with a team. In order to have a productive team, you must be a productive leader. Role-modelling what the employees are expected to do creates great influence, not only on the team but on the work environment itself. It will also generate enthusiasm and will inspire everybody to work more productive and harder. Sometimes it’s simply because your employees are looking up to you. Small things like being on time or being energetic may affect your employee most. This is a massive part of my game as I am always smiling and full of the well, ‘joys of spring’. However, role modelling is sometimes easily overlooked. Be careful with what you do, how you say things, and what you say to keep your team MOTIVATED. Celebrating success within the team is HUGE. Giving your team an extra incentive aside from what they are compensated for monthly can be considered as a ‘high impact’ motivation driver. This type of motivation often applies if the performance of the whole organisation is at par with its strategy and goals, be it weekly, monthly, quarterly, or even yearly. 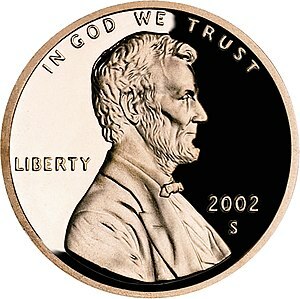 However, keep in mind that it is not only monetary incentives that count. My team often like vouchers, ‘Reach-and-Go’s’ and any form of companywide recognition. When this was introduced to numerous teams across my company it had a positive impact on results, activity and morale! Don’t forget, ask the team what they want and compromise where possible, so your incentives will DRIVE them to win. This may seem like the easiest thing to do, but you will be surprised how hard it is to actually take on board. I know many leaders who are somewhat successful but struggle to listen. We can all hear what others are saying but to listen is challenging at best. With all your worries about your business, its targets and operations, how will you have the time to listen about how Henry forgot his lunch and now has to buy food from local amenities? It’s tough, but make a conscious effort to give that time to listen. You might think that your employees’ problems are ‘insignificant’ compared to yours, but you can’t make that call on what is important to a person and what is not. Listening to your teams concerns will be greatly appreciated. They will feel more empowered and happy since they are talking to the leader of the team. If you are interested in doing a Guest Post for this Clarabelle blog, then I would really love to hear from you. Please send me an email to claire@murraypeople.com noting your interest. Thank you and I look forward to hearing from you. At the beginning of every month I pose a question for you to think about and answer for yourself. I also provide you with my own answer to this question. Below is this month’s question. Usually I offer you up a question that relates to moving forward with your life for e.g. making a change or a question that will help you to become more self aware. This month’s question is a little bit more simple (well, for me) 🙂 . What is your most favourite piece of music or song, right now, in this moment and why? I really do love lots of songs and music compilations, I have a deep respect and appreciation for music and I really do admire the musical talents of Artists. The one song that I have been listening to recently and really does inspire me, is a song called “Try” by the Band “The Modern Hearts”. I really LOVE this song, because I can relate to the words, which uplift me, inspire me and awaken my soul inside….to me, this song is quite simply magical and captivating. When I play this song, I want to dance, I just start jumping and moving around on the living room floor like a 2 year old on Christmas Eve excitedly waiting for Santa to arrive. What an amazing impact a song can have on you. I would really love to know what is your favourite song and why and also what positive impact it has on you too? It is with great pleasure that I share the following sample music track with you. This is another one of my original songs, called “I Am The Greatest” and the piano backing track has been arranged and is played by the super talented Gary Stitt from Canada, Gary is also singing the vocals in this sample song track. The song is very motivational and is about making positive changes in your life, going for your dreams and goals in life and truly believing in your greatest potential – I have also included the lyrics below for you. Please let me know what you think of the music track, I will be heading to the recording studio soon to put my own vocals on it. Happiness lives in you, it truly does, believe that, live that, breathe that…..your happiness awaits. Much love to you today, Clarabelle. I took this photograph for you the other day of a spider’s web in the rain. When I showed the photograph to my 2 year old niece Carmen, she shouted out with beautiful happiness “Bubbles”. I thought this was so cute and beautiful and it inspired the quote that I wrote to go along with the image. May you stay beautiful and bubbly wherever you are in the world today. Lots of love Clarabelle. I am 10 weeks into my 16 week marathon training programme and my long runs at the weekend can be quite challenging. Yesterday, I had to do a 16 mile run, this took me about 2 hours and 45 minutes. I stopped taking music with me on these runs and I now use the time to ponder, think and reflect on whatever comes up for me at that time – very often these thoughts turn into a blog post, just like today. My running routes are through my local town and often take me into other connecting villages and towns. Yesterday I found myself running in the village of Carfin that I was brought up in and where my mum lives. Whilst running up hill towards my mum’s home I thought about the times when I visit her and then a sad thought came over me, one day I will not be visiting my mum in her home, because one day my mum and just like the rest of us will not be here. I didn’t ponder this for too long because I didn’t want to make myself feel too sad. I suppose that is life and that is the reality of it all but it did make me think about me really wanting to spend quality time with my mum whilst she is here and whilst I live so close to her. I then immediately thought of all the nice things we could do together, places we could go and visit, conversations we could have, holidays we could go on…..lots of special time together. So I now have a little plan of action to put all of this into place. Sometimes in life without even realising it we can take our loved ones for granted, especially when everything is going well with their health etc.. My run towards my mum’s house yesterday made me really think about that, I want to spend as much quality time with my mum as I can and I will and I look forward to sharing those lovely fun stories with you on this blog. If this post has made you think about a loved one, please give them a phone, visit them, drop them an email or text…..just connect with them and let them know you are thinking about them and are there for them, it will make you and that person feel great today. I would like to say a special thank you to YOU for visiting this Clarabelle blog and for liking my posts, I really do appreciate it. I really love to interact with visitors to this blog and I want you to know that I have lots of additional “Clarabelle” updates on my Clarabelle Facebook page. If you are interested in finding out more about what I am up to on a daily basis then please feel free to like the Clarabelle Facebook page, you can easily do this from the Facebook like box on the sidebar of this blog. Often we look for a solution to our problems “out there” however I am a great believer that you have the answer deep inside yourself. “You Are The Key” is a song that I created a few weeks, although I do write a lot of love songs I also write a lot of uplifting and more inspiring songs too. I hope you like this Youtube demo song and that it adds a little zest to your day (background music currently being produced). “We’re fools whether we dance or not, so we might as well dance. Click here to listen to Clarabelle singing “Yes You Can”. Put Your Energy Out There!! You may remember a few weeks back I blog posted for the very first time a YouTube video of me singing one of my original songs “I Am Here”. I hope you’re having a good day. I’ve had a chance to review your lyric, “I Am Here”. Please see review below. “I Am Here”: You have good rhyme through out the lyric which creates good rhythm which makes the song flow well. You have good imagery and description as you use your words to paint the scenes and bring the song to life. You’ve captured and expressed the emotions well as you can feel the love, hope, strength, longing, wonder etc… This is important b/c emotion is how people connect with music. The subject matter is strong as well as the length, song structure and verse/chorus format. “I Am Here” is a lyric we’d be interested in working with you on. The reason I am sharing this with you is because I want to use myself as a real life, in the moment, example. 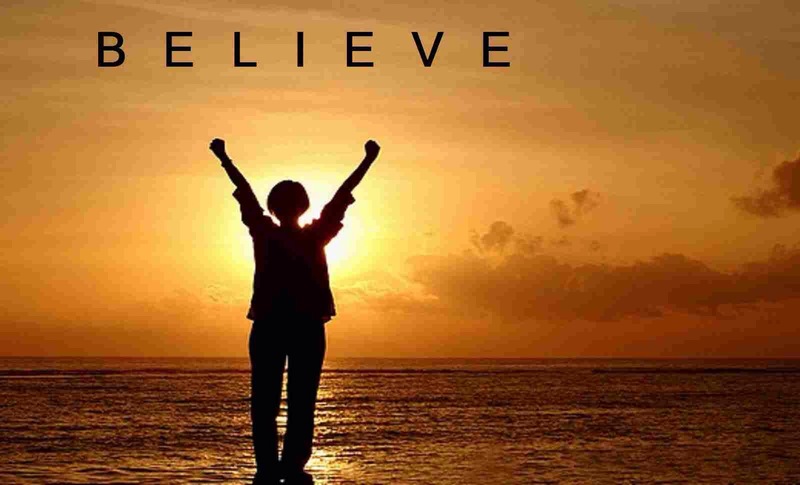 I want YOU to never let go of your childhood dreams, believe in your abilities and talents and put your energy out there……the Universe WILL respond, believe that, I am living proof of that. Now, I have no idea what will happen with my songwriting career going forward, but all I know now, is that this has truly inspired me to keep going and going and going and going. By me putting my energy out there and getting that response this evening, it has given me even more motivation, drive and enthusiasm to carry on and make it happen for myself. I will absolutely keep you posted on developments. Remember, YOU are a miracle already, YOU have the magic inside of you to dream big but also to turn that dream into a reality…..PUT YOUR ENERGY OUT THERE!! Much love to you as always, follow your dreams that you hold in your heart, Clarabelle. A little bit of inspiration goes a long long way. I came across this YouTube video a few weeks back, you may already have seen it but I feel I just had to share it on here, it is very empowering indeed. Arthur in the video is such a true inspiration to each and everyone of us, may his story inspire you to take on what others see as the “impossible”. Much love to you in this very moment, we all need a little bit of love to come our way, Clarabelle. Welcome to this month’s question. Every month I ask you a question to reflect upon and answer for yourself, I also share my own answer with you. I have just returned from a lovely and fun filled holiday with 9 of my childhood friends, it was a bachelorette (hen) party holiday for my wonderful friend Michelle who gets married in 2 weeks time. Whilst there I came across this wonderful little cafe called ‘Passion for Life’, I love it because its menu is full of organic, healthy, natural wholefoods and I fell in love with their ‘After Eight’ healthy protein shake…..yummy. The cafe was such a lovely environment to sit in, because it has little inspirational pictures and photographs displayed on its walls. The reason I am sharing this is because it has a “Question of the Day Chalk Board” and I took a photograph of the board so I could use their question to share with you today. My answer: Lately I have being doing a lot of things for the first time so I will share with you one of the things I did this morning for the first time. I am really big on gratitude at the moment, I am so very grateful for everything I have in my life right now, I really am. I have just started reading the book, “The Magic” by Rhonda Byrne, I love this book because it helps you to deliberately focus on what you are truly grateful for each day and night. Today, for this first time, I did practical exercise for day 1, which was to, “count my blessings”, I had to write down 10 of them and the reason why, honestly it felt so good to do this. I will leave you with that Question for the month of June and maybe you will also want to count your blessings too, it really will make you feel so good. Thank you for reading my posts, I really do treasure you being here, I have been reflecting a lot whilst being away on holiday and I have some truly amazing posts to follow very soon. Much love to you today as always and thank you from the core of my heart, Clarabelle. Into the unknown, it’s shining bright. A dance step forward, I’m feeling free. My soul is blessed, beneath the stars and moonlight. My spirits are high, I have deep gratitude. Keeps me alive in this moment, without the history. Sunsets and butterflies, make me feel WOW!! Winning starts NOW, not yesterday, not tomorrow, not one hour from now, WINNING STARTS NOW!! Go, Go, Go!! This next poem is inspired by just that. May you keep on winning today, love Clarabelle. Do your best, grow and thrive. Rise with the sun, from dusk til dawn. Strive to be better, for you just win. Live in this moment, live for today. Truth never leaves you, this I know. Abundance will follow, every woman and man. I would like to share a true story of mine with you today. When I was 16 years old, my first full-time job was as an Office Assistant in a Solicitor’s Office in Glasgow City Centre. I really loved that job, mainly because I really loved the people I worked with, it was really fun at times and I learned so much with it being my first permanent job. Unfortunately, I was in two serious car crashes when I was 18 years old and was in crutches for a year and half and sadly, my position at the Solicitor’s Office had to be terminated because there was no real indication when I would make a full recovery and was likely to return. So there I was at the age of 18, in crutches for 18 months, no job and no real indication from the Doctors at the hospital when I would get fully better. I could have been really depressed about being in that situation, but I wasn’t. I decided to use the extra time I had to read lots of books from the library on subjects I was interested in at the time, it helped me escape from my current reality. It was my job to make the coffee and tea for everyone throughout the day in the office and every time I made myself a quick cuppa, I would read the little poem and smile with delight, I really loved it so much. So how did it find its way back to me? This next true story is fascinating. My younger sister, Leanne met her husband to be Cameron when she was 22 years old and Cameron was 18 at the time. My sister and I had both decided to spontaneously go out the evening she met Cameron, they instantly fell in love with each other and are now very happily married with three beautiful children. The interesting fact here is that Cameron had lived in Cape Town, South Africa all his life and him and his family emigrated to Scotland to live, the year Leanne and him met. A few years after they met, Leanne and Cameron got married and it was a very beautiful wedding. Shortly after the wedding, Cameron’s mum, Joan, who works in an Accountant’s office, was showing her friends in work the wedding photographs, she then also showed the ladies in the office downstairs the wedding photographs. Whilst looking through the photographs, one of the ladies said, “Who is that bridesmade girl?”, and Joan said it was Leanne’s sister, Claire, they said that’s “Our Claire”, “She worked here when was 16 years old…..we kept her mug, please give her mug back to her and tell her we are asking for her”. WOW, Joan had been working in the Accountant’s office upstairs from the Solicitor’s office I worked in when I was 16 years old and none of us knew. Joan, surprised me one day, she turned up with the mug for me and told me the whole story, what a truly wonderful surprise it was….after 15 years, they kept the mug and it was returned to me. I still find this story very fascinating and especially that the mug has poetry on it…..which for me as you know, poetry, if part of my life, it is part of who I am. I have visited the staff in the office since then, some of the original staff who worked there when I was 16 are still working there, almost 24 years later. They have also allowed me the use of their offices to hold coaching sessions in…this time I am not the receptionist, I am the business owner meeting with my own clients…..I feel I have come along way since those days as an Office Assistant. I am not exactly sure what the moral of the story is here, I think you will have your own take away from it. All I know is that, my “Claire mug” was meant to come back to me and it took a family to emigrate to Scotland from Cape Town, South Africa and a real love story to make its way back to me…..how lovely indeed. I really treasure this “Claire mug” with all my heart, I believe, true love brought it back to me and now I share this story with you today. If you have an uplifting true story you would like to share, I would really love to here it, why don’t you share it on my blog, I would be happy to dedicate a blog post to it for you. The sun is shining on me right now as I write this blog post and I feel its energy and warmth beating down on me through my living room window. My house seems really bare at the moment because I have been refurbishing and I am waiting on my new red sofa to arrive, I can’t stop buying red right now – I will share my thoughts around that in another blog post. There is something about having this extra ‘white’ space in my house that makes me feel free, feel alive in this very moment and gives me true clarity of thinking. It’s like the energy in this room has space to breathe and dance around me – I can really feel it and it feels good. If you are a follower of this blog and I truly thank you if you are, you may have noticed that over the last few weeks my posts are changing slightly, this was not deliberate, I am just doing what feels natural to me – I write about what feels right!! Maybe this is because the energy within and around me is changing, growing and multiplying like never before. 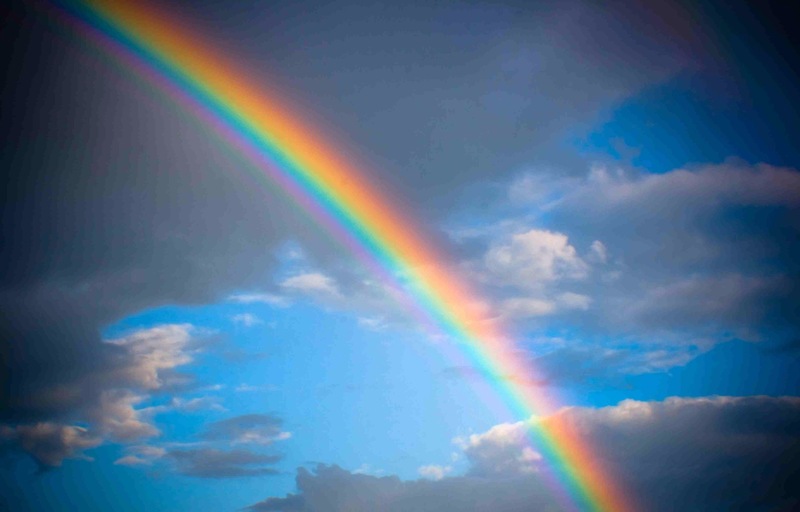 I feel like a magical magnet right now, I am attracting so much goodness and a wealth of abundance like never before. I feel truly rich in this moment and I am so very grateful for it. I am feeling this strong desire to ‘move’ from my current environment and this morning I am already thinking about how I can make this happen. I may even decide to sell all my worldly goods and go on an adventure to explore all the deep faculties of this amazing world. I know I can make this happen because when you have desire and I mean real desire for something, nothing will get in your way. That inner desire that I am talking about turns into an obsession and the pure delight and excitement of having it builds up into such a humongous level of passionate energy….the head is not driving this anymore….the heart is. 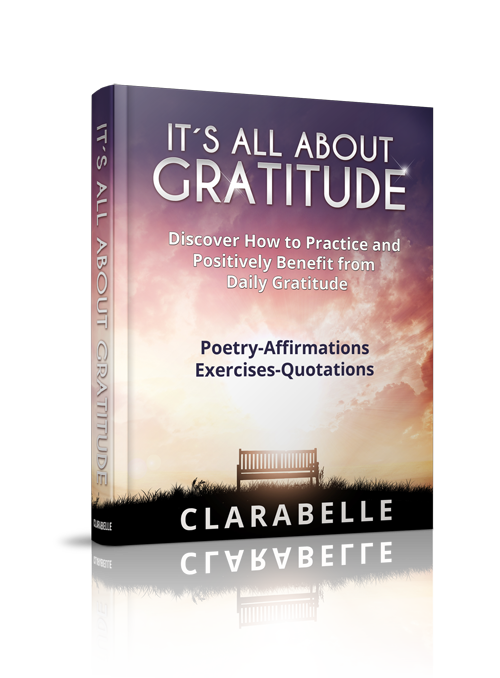 When the heart takes control of your destiny, you feel alive, every part of you feels awakened and you see so much beauty in everything around you – everything seems like paradise and it’s like you are vibrating on a different frequency – yes you actually are. I want to leave you with a heart question today…..What does your heart desire?....not your head, What does your heart desire? I believe your answer to this question, is your next step on your journey of life. Love life, live life, be life. I am a great believer that creativity and imagination are two of the key components to a happy and fulfilling life and when you combine this with truth, love, passion, inspiration and connectedness you get something that is really “explosive”, internally and externally. I am sure we have all experienced our dancing minds playing a “tug-of-war” with our heart-strings – lately I have been letting my heart win and my inner spirit is running joyously free. Track 1: “Running Free” – This musical piece tells the story of “returning to your soul”, it takes you through a journey of life experiences that have went from deep sadness and loss to letting go, breaking free and arriving at who you really are. It is ultimately upbeat and uplifting. Track 2: “Hearts Apart” – I wrote this musical piece based on some recent news that my Sister, Brother-in-Law, Nephew and Nieces are all emigrating to Mississippi next month. This musical compilation tells of the heart-warming story of my deep love for them as they travel on their own journey of happiness and adventure. Track 3: “Moving On” – This creative piece is ultimately about love – being, doing and having love. It is about letting go of past loves and opening your heart to new loves now and in the future. It is a very moving and touching musical story and I had someone special in mind when writing this musical piece. Track 4: “Inspiring Hearts” – This track is a part of who I am, it shares the story of my passion and desire to inspire hearts all over the world. The music aims to connect with ones soul and deeply move them in an inspirational and motivational way. Track 5: “Flight of the Blue Butterfly” – This musical composition tells the story of the stages of healing towards ultimate freedom of heart, soul, mind and spirit. 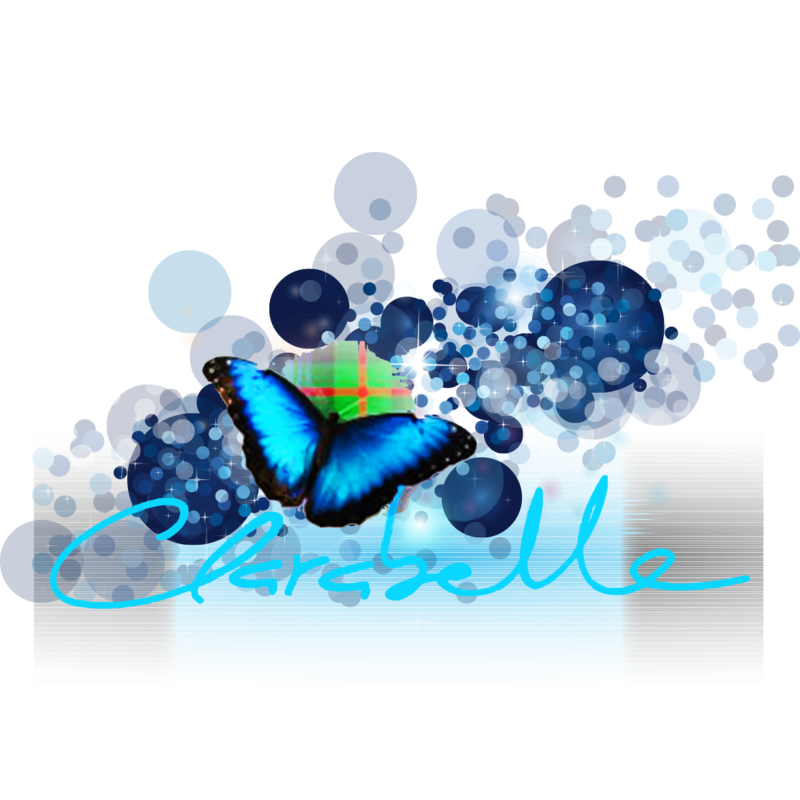 The blue butterfly is very significant for me and you can see it pictured as part of my Clarabelle logo. This harmonious musical piece aims to move you in a peaceful and spiritual way. Track 6: “Happiness Now” – This track is a musical compilation of what it sounds like to me to experience happiness in each and every moment. It will help you to open up your heart to the whispers of your soul and see and feel the beauty in each precious moment of life. Beauty is all around us and this track is a unique representation of that. Track 7: “Coming Home” – This musical piece tells the story of my self-journey to being at one with oneself. It shares the realisation that the answers were always there, from within. It is a musical expression of who I am and all I ever need to be. In this artistic creation, “I have arrived”. Track 8: “I Am” – This track is a musical celebration of the soul, the artistic expression of knowing that I always knew and trusting the feelings from within. It is an uplifting and moving musical piece that will surely touch your inner being. There will be 13 tracks in total on the album and I aim to have it fully completed by 6 May 2013. The album will be registered and uploaded to iTunes for immediate purchase. I will also have it available to purchase in CD format. Purchase price is £5.00. I am so excited about sharing the album with you, I have a real belief and faith that it will inspire you on the path to “Divine Harmony“. Lots of love to you today, tomorrow and always, Clarabelle. A Little Bit of Inspiration……. I love inspirational and motivational quotes, they are often full of long lasting wisdom. This next quote was created by me in the midst of “creative flow”, I want you to really think about its message and what it means to you. I absolutely LOVE my job but it wasn’t an easy job getting here—it took me 36 years of learning, being, doing, hoping, having, not having, feeling and experiencing the highs and lows of real life and work. It is only now that I feel wise enough and knowledgeable enough to share this experiential learning. When I Grow UP I want to be…..
Mum: Watching my mum lovingly support and care for our family; wanting to be just like my mum and also being the proud owner of various dolls such as (in its day) the famous ’Tiny Tears’. Air Steward: Wanting a ‘glamorous’ lifestyle (perceived) and the opportunity to travel all over the world, maybe even marry a pilot!! I also think the popular TV advert for Caledonian Airlines had a big influence….I remember wanting to be a ‘Caledonian Girl’. Model: Watching Miss World on TV and aspiring to be like one of these beautiful woman. I wanted to wear that crown!!! Nun: There was a real religious influence here from my childhood days, in particular at Primary School and I went through a really ’holy’ stage—that was until I discovered my like for boys!! Songwriter: I used to lock myself in my bedroom for hours and make up songs, I would practice and practice them all day long and never got bored of it—this was a perfect escapism for me at such a young age. To this very day I still remember the songs and so do my closet friends. We often burst into these songs after a few wines!! Primary School Teacher: I used to babysit for my next door neighbour when I was in my early teens—I loved watching their 3 kids, probably because I could be a ‘big kid’ myself. This inspired me to want to teach young children to learn and develop—I then found out that I would need to study for a further 5 years after Secondary School and this sadly (at the time) put me off. Nursery Nurse: Again my love for children and helping them to learn and have fun. My Guidance Teacher at Secondary School totally put me off the idea “that’s not the career for you he said, that’s not a good job”. How easily influenced I was as a teenager. Secretary: Well I figured I would go with the safe bet and be a secretary, after all I was good at typing, passed all my Secretarial Studies exams with flying colours and oh yes my mum did that when she left school and she told me fabulous stories about her career in this field. That was it at the age of 15 I aspired to be a secretary. Well there was nothing else, was there……??? Shop assistant, sales representative, hotel waitress, 20 years of various office type jobs from receptionist through to human resource management. A couple of these jobs which I liked and some others I have quite closely hated. Then at the age of 34 I decided to think very carefully about my future career and where it was heading. Why then? Well lots of reasons I believe, but I think coming out of some personal turmoil combined with some major achievements made me a much stronger person with a really determined ‘can do’ attitude. This included personal triumphs and goals such as Graduating from University in 2005 in Personnel Practice, running the New York marathon in 2007 (I then later did the London Marathon in 2010) and Graduating again from University in 2008 in Human Resource Management. It was in 2006/7 when I seriously reflected on my future and felt much more equipped to correctly answer the following question……. So what do I really want to do when I grow up? To answer this, I identified my core values and what they meant to me, I looked at what job activities I particularly enjoyed doing, I thought about what are my strengths, what was I truly passionate about doing, what excites me in life, where did I want to see myself 5-20 years from now and the ultimate question: How was I going to get there? I had a real belief and confidence in myself and I knew I wanted to have the freedom to explore new territories, learn new things and meet new people. I knew that I wanted to help other people achieve their dreams, goals and aspirations in life. I wanted to coach and mentor people to do just that, I got excited about the thought of it and felt strongly passionate about it. I was truly ready for this and felt fully motivated and inspired to do so. I researched into Coaching, I wrote to no less then 200 practicing coaches in America asking for their advice, I then went to New York and met some of those coaches, left my full-time job as Human Resource Manager, studied for a further year and achieved a Diploma in Coaching at Distinction level (94%), started up my own business at the end of 2008 and that’s where I am at the moment. I have BIG plans for the business and I know that I will only achieve this through hard work and commitment. To be honest, at times it feels like starting all over again—to what it was like over 20 years ago. What have been the best parts of my job so far? Most definitely supporting and empowering other people to achieve their dreams, goals and aspirations in life. Almost 90% of my work to date has been career/business/leadership goals related and with my Human Resource Management background and sound coaching and mentoring experience—it works very well and benefits my clients greatly. Also being my own boss and having the freedom to use my creativity and innovation to lead the business into great things that will inspire others to achieve great things for themselves. I have learned so much over the last 17 months of my business (to date almost 5 years!!) and I feel very proud to say that I have video blogged my real time journey all along the way. My vision is that one day it will be professionally edited and shared with you at home in the format of a short film/documentary. But………what about being a Songwriter? Hey, I can still do that, my career ain’t over yet, it is just at the beginning—the true beginning. 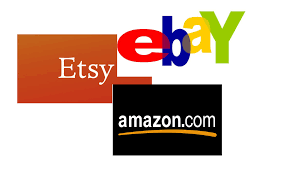 I have now had my business for almost 5 years and I still continue to love it…….I am also planning another business which is indirectly linked. I must say however that nothing at the moment, beats the feeling of writing for this blog and getting messages from other bloggers and readers out there……you are magnificent in every sense of the word and my heart and soul is touched everyday with your responses. I see my future in this blog and I do hope you join me on the journey. 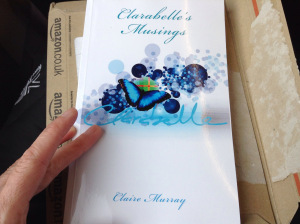 Thank you for reading this post today, lots of love Clarabelle.